OLD PARKED CARS. 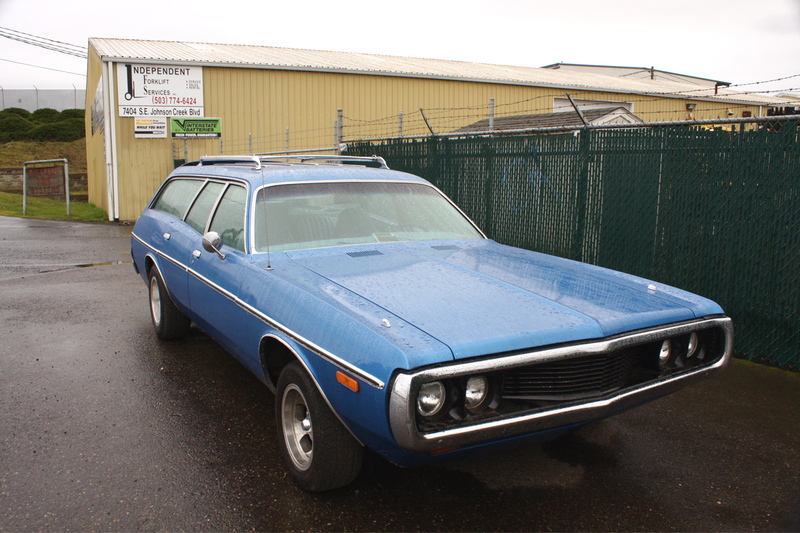 : 1971 Dodge Coronet Wagon. Now that is a real grocery getter!! Way better than a SUV or minivan. Ansen Sprint slotted mags make this an instant winner. Slot mags make any car look cool. Now that's a wagon! Awesome shape, color, wheels...and the front end especially...love it! 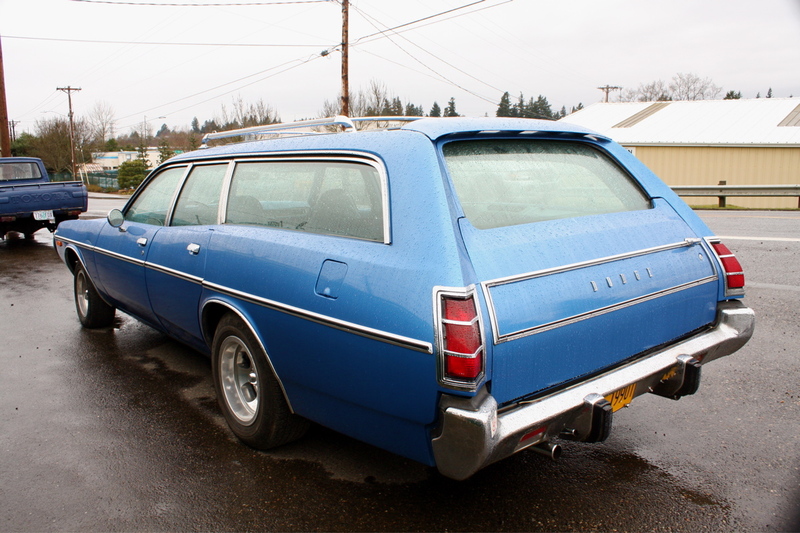 I wonder how many people realize this is the midsize Dodge wagon, and that there was an even bigger one available. Love it...and the slotted mags. 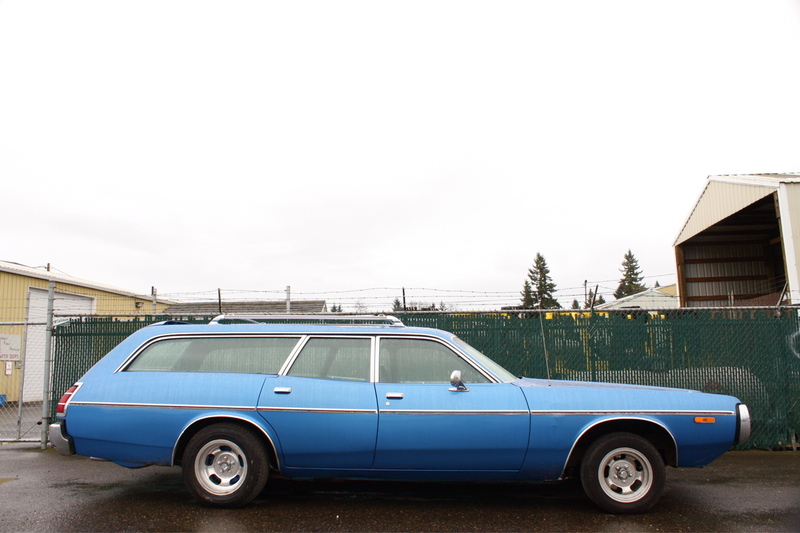 As a mopar fan, muscle car fan, and a wagon fan, this is great. Combines all three. Whatever year it is, it still looks great. Probably runs as good as it looks too. What are the chances of buying this beast? I use to have one these many years ago.